« Say what you mean and mean what you say. Gibberish in the Coaster. Quelqu’un doit donner a cette dame une main. Give this “lady” a hand? C’mon monsieur–can you not tell a child from a lady? 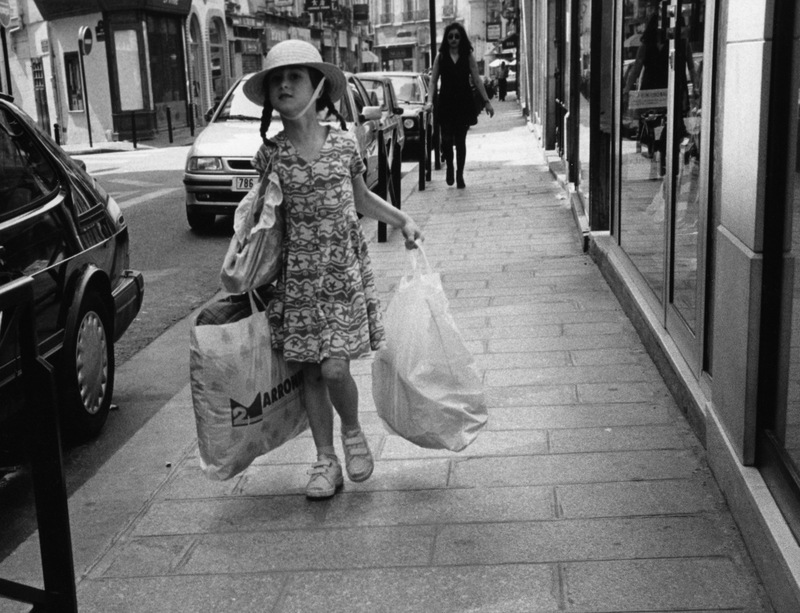 Like New York City girls, this Parisian mademoiselle seems to know how to shop.